- UN meeting was inconclusive - ID Cards were enforced worldwide. - USA Gov. 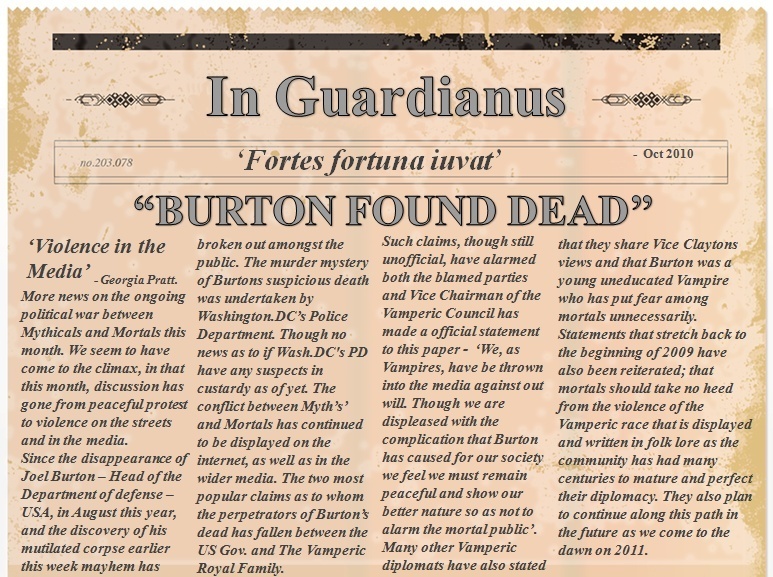 Blame Vampires for Burton's death. - Lycan leaders feel that Vampiric Oppression may spread to their own race in the near future. - Angry protest and action is taken - Lycan attacks and turnings increase with in the next 2 months. Internet conspiracy - USA Gov. aren't killing the vampires but using them for experiments, researching regenerative properties and heightened senses.